Radu earned a Ph D in History of Arts from Ca' Foscari University Venice - IUAV University Venice - Verona University, conducting part of the research through practice at The Prince's Foundation - School of Traditional Arts in London. He holds an MA and a BA in Film and Visual Arts from UNATC Bucharest and has received training in TV journalism from the BBC. Radu teaches Western European painting and drawing techniques. His works were exhibited in London at The Royal Academy of Arts in the Private Views of the Summer Exhibition in favour of Marie Curie Cancer Care (2013-2018), at the Mall Galleries in the Pastel Society UK Annual Exhibition (2011), in the 'Venice in Peril' exhibitions at the W.H. Patterson Gallery (2012) and The Osborne Studio Gallery (2015). Radu a reçu un doctorat de recherche en histoire des arts à Venise, et a une précédente formation universitaire en cinéma et arts visuels. Il enseigne techniques traditionelles de dessein et peinture. 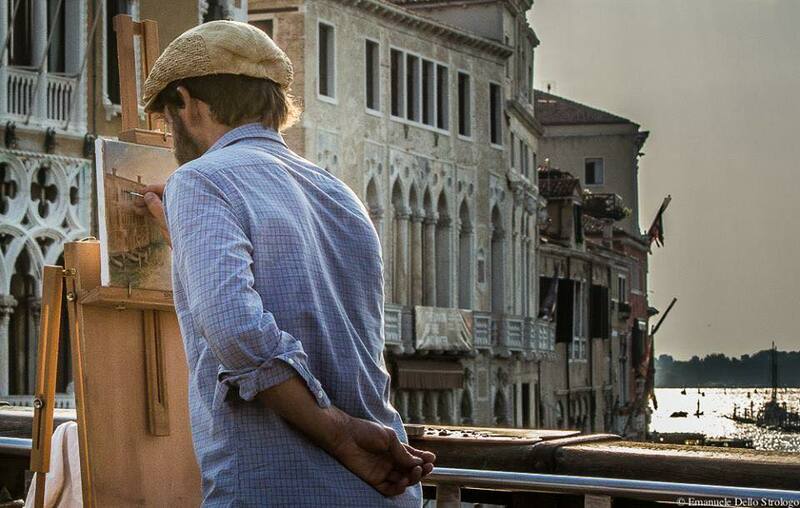 Radu ha ricevuto il titolo di dottore di ricerca in Storia delle Arti a Venezia, e ha una precedente educazione accademica in cinema e arti visive. Insegna tecniche tradizionali di pittura e disegno. I suoi quadri sono stati esposti a Londra, alla Royal Academy of Arts nelle Private Views a favore di Marie Curie Cancer Care (2013-2018), alle Mall Galleries nella mostra annuale della Pastel Sociey UK (2011), nelle mostre a favore di 'Venice in Peril' alla W.H.Patterson Gallery (2012) e The Osborne Studio Gallery (2015). please click CONTACT and forward your question and contact details.